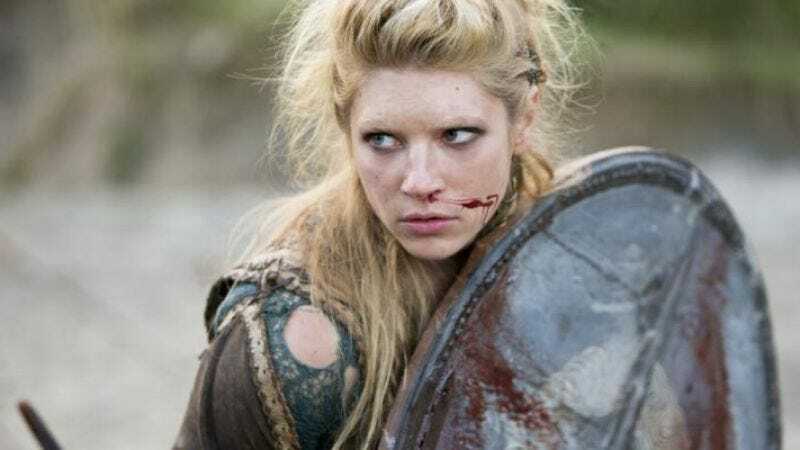 According to Variety, Vikings star Katheryn Winnick has joined the cast of The Dark Tower, Sony’s adaptation of Stephen King’s book series. She’ll be joining Idris Elba, Matthew McConaughey, Tom Taylor, Jackie Earle Haley, and Cabin In The Woods survivor Fran Kranz, but the Variety article doesn’t say who she’ll be playing or how big her role will be. Unfortunately, the casting for this project has been so scattered—what with a bunch of inconsequential villains being cast even though half of the main characters still haven’t been—so it’s nearly impossible to try and predict who Winnick will be playing.